Hidden away in the canyons of a highly restricted military base on the edge of the Mojave Desert is the largest concentration of rock art in North America, possibly in the world. Images of animals, shamans, and puzzling abstract forms were pecked and painted on stone over thousands of years by a now long-gone culture. 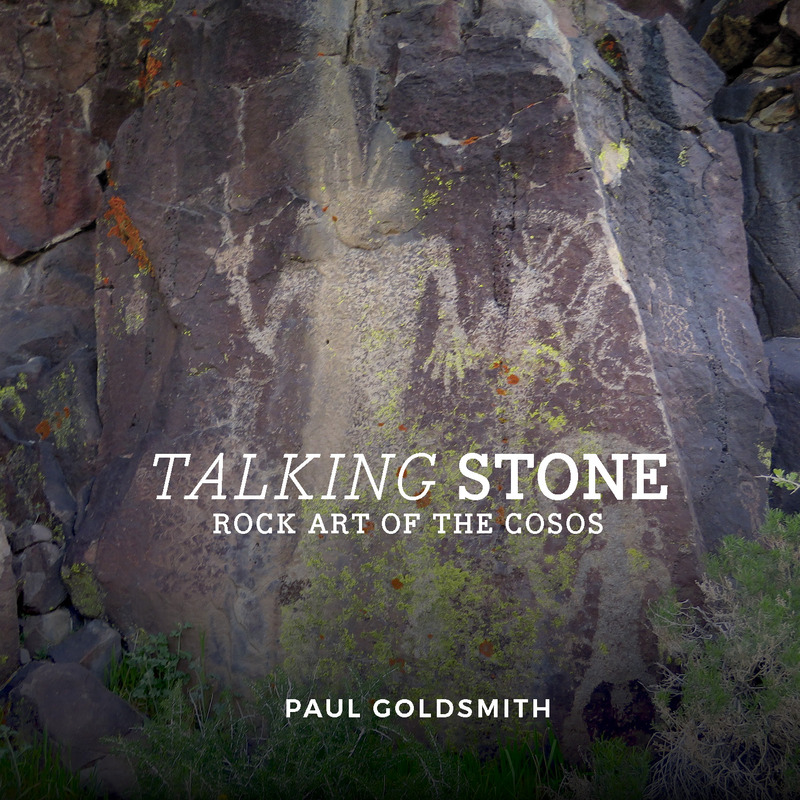 Talking Stone: Rock Art of the Cosos is a multivocal investigation of this art. Acclaimed cinematographer Paul Goldsmith takes the reader on a visual journey through this limited access area with more than 160 stunning color photographs. The book is structured around Goldsmith’s treks into the remote desert canyons and his meetings with archaeologists, Native Americans, a psychologist, an artist, bow hunters, and the commanding officer in charge of the military base. The result is a visually striking book that gives the viewer a personal and visceral experience of this enigmatic art. Paul Goldsmith has been a filmmaker for 40 years. He is an elected member of the American Society of Cinematographers and has received a number of awards for his work, including an Emmy for the National Geographic documentary, Don’t Say Goodbye; a film he photographed, When We Were Kings, won an Oscar. His interest in Native American history was piqued when he worked as director of photography for the PBS series “We Shall Remain.” He is on the board of the California Rock Art Foundation. 2. Who Made These Images? —Amy Gilreath, Far Western Anthropological Research Group, Inc.